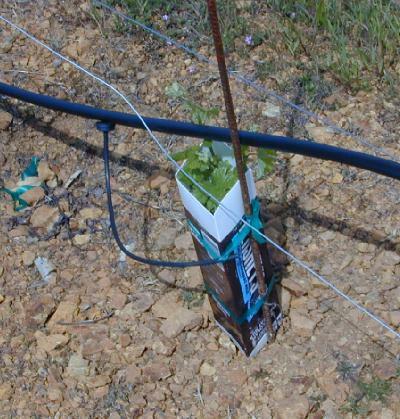 FLOWERS' NEW VINEYARD, first planted in 1997, rises 1850 feet above the Pacific Ocean. 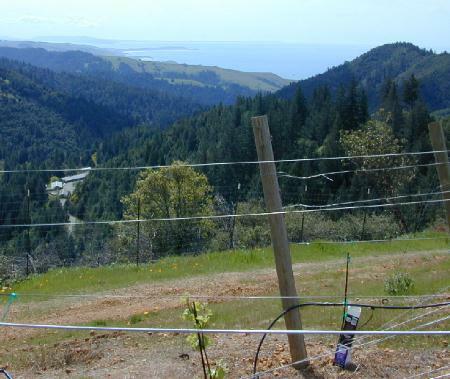 GRAVITY-FLOW WINERY on Camp Meeting Ridge is built into the side of a steep slope. The top story, seen here, houses a reception area and offices. 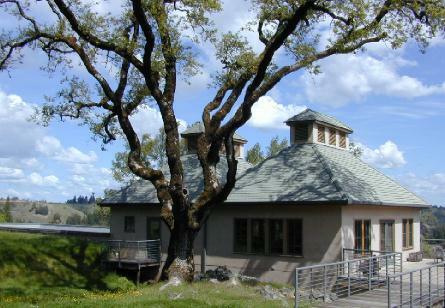 The tree is 225 years old; rather than tear it down, they designed the winery around it.